Feds To Allow Preferences For Low-Income Applicants In S.F. Housing Complex Reversing a previous decision, federal housing officials say San Francisco can set aside 40 percent of the 98 units in new affordable housing for seniors who live in certain rapidly gentrifying areas. San Francisco's Mission District will be one of four additional neighborhoods given preferential access to an affordable senior housing complex in an agreement between the city and the federal Department of Housing and Urban Development. The city had aimed to help low-income residents secure preferences when applying for a new senior housing complex; this week the Department of Housing and Urban Development announced it will allow an "anti-displacement" preference for residents living in certain neighborhoods experiencing rapid gentrification. "This is important progress in our efforts to halt the displacement of residents at greatest risk of being forced out of the city they know and love," said Mayor Edwin Lee. "This will thwart the out-migration of African-American and Latino communities who have been deeply impacted by the challenging housing market." HUD originally objected to the city's initial plan to grant "neighborhood preferences" to seniors residing mainly in the Western Addition — many of them African-Americans — applying for residency in the federally financed complex. Officials argued that such preferences violated the 1968 Fair Housing Act by limiting equal access and perpetuating segregation in the historically African-American neighborhood. But San Francisco officials appealed the HUD ruling and sent a delegation to Washington to ask federal officials to take a new look at the city's anti-displacement strategy. They also brought in House Minority Leader Nancy Pelosi and Sen. Dianne Feinstein, a Democrat, to bolster their case. Feinstein went as far as to request that HUD Secretary Julian Castro give his "personal" attention to the city's request for a review. In a Wednesday letter to Mayor Lee, Assistant Secretary for Fair Housing and Equal Opportunity Gustavo Velasquez wrote: "HUD can support an 'anti-displacement' preference for 40 percent of the units, where residents from throughout the city are eligible for the preferences and where race is not considered in the selection process." San Francisco Board of Supervisor President London Breed, who grew up in the Western Addition and had championed the "neighborhood preferences," hailed HUD's decision. In a news conference, she called it "a monumental victory." "We got something, I believe, that's going to be just as good and just as effective at making sure that the people who live here have a real shot," Breed said. 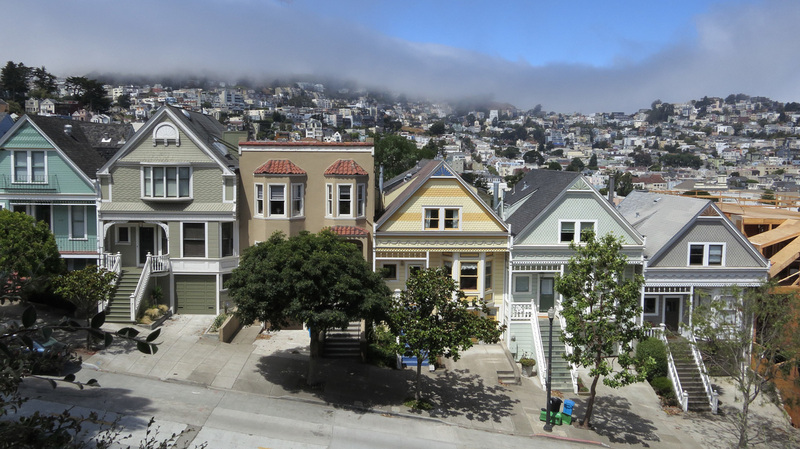 "It's good that HUD explicitly acknowledges the challenge gentrification poses to following fair housing law, when it comes to serving lower-income residents who live in high-cost cities," said University of San Francisco Law Professor Tim Iglesias, who specializes in housing law. "But there are not enough publicly available details about the compromise to know how much this will really serve the city's initial goal ... to avoid the further displacement of African-Americans in the Western Addition."